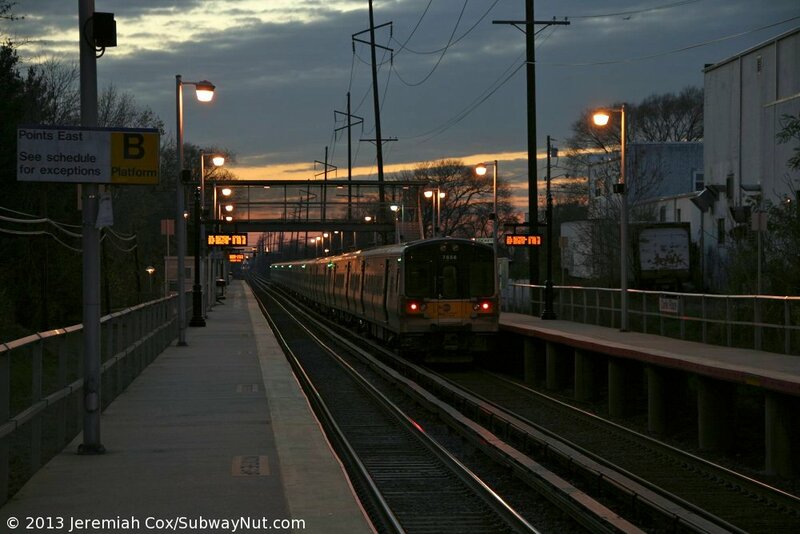 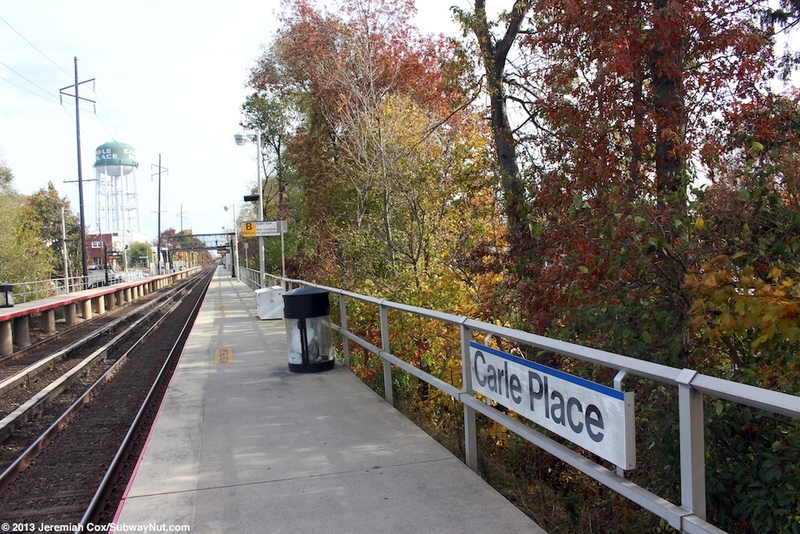 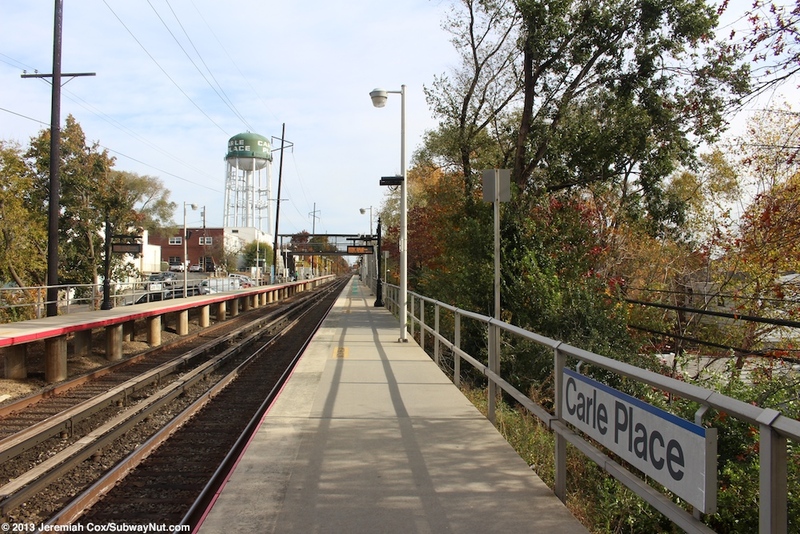 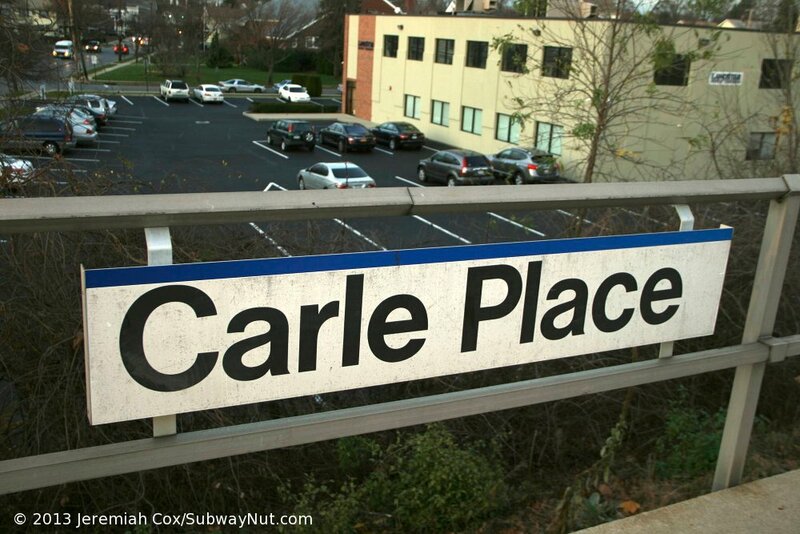 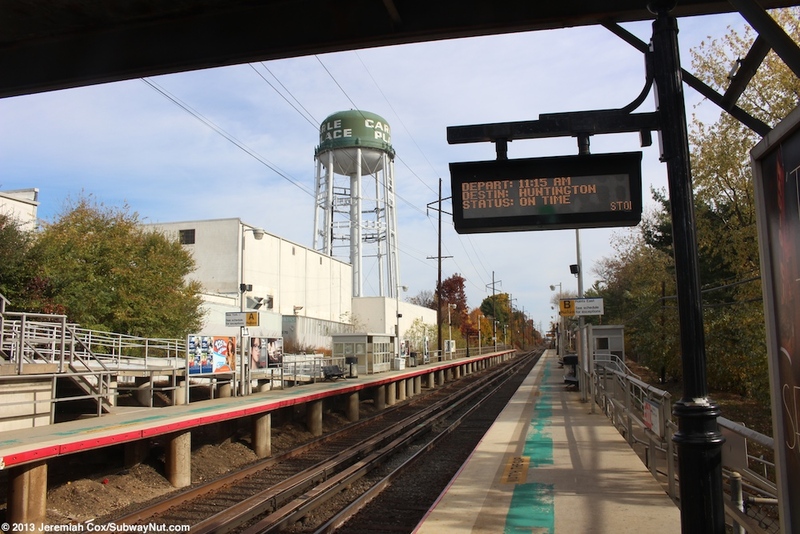 Carle Place is a local stop on the two-track main line with two high-level 12-car side platforms that were built in the late 1960s in preparation for electrification in 1970. 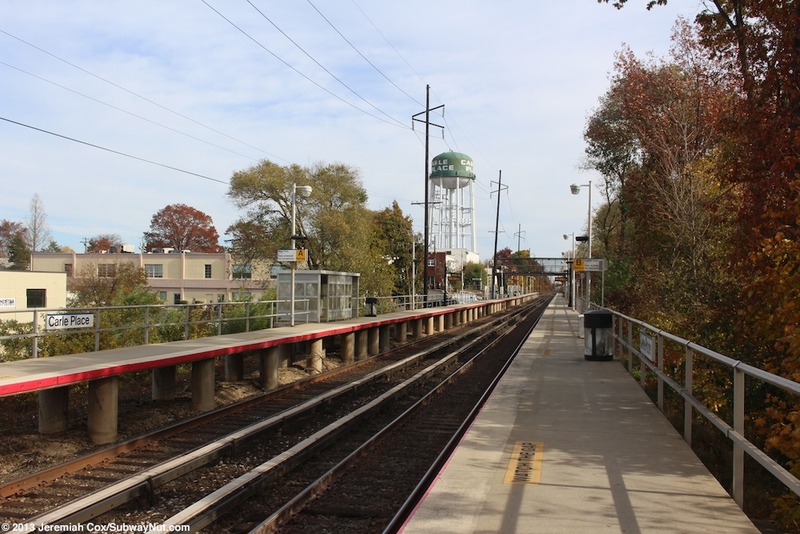 The station is located on the side of a bit of a hill so access is a bit complex. 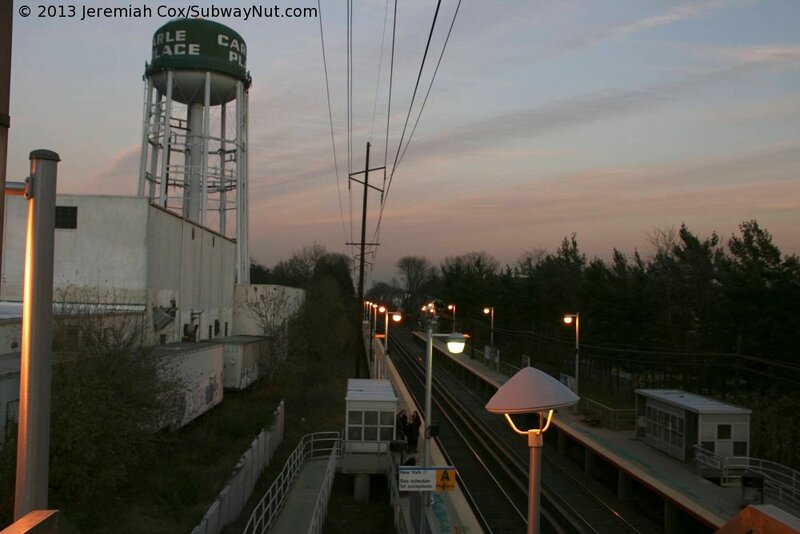 The station has the green water tower for the Carle Place water district hovering above it. 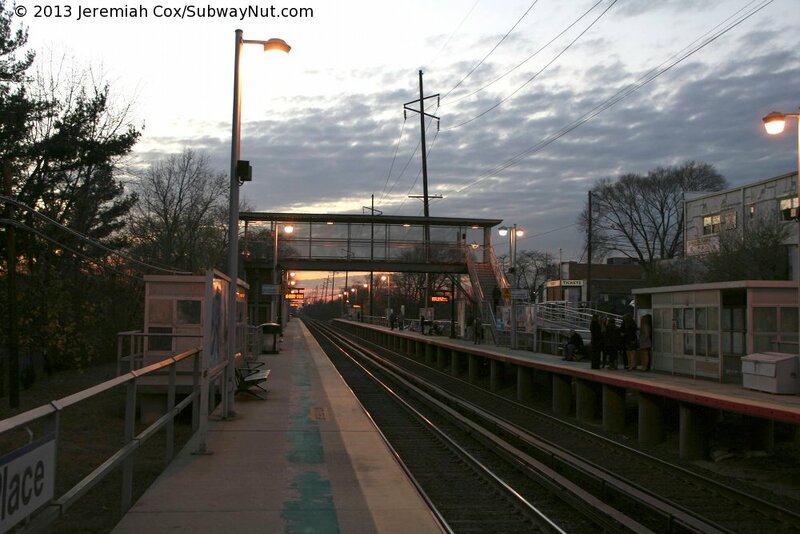 The station's two side platforms begin at their western ends at the underpass of Cherry Lane under the tracks. 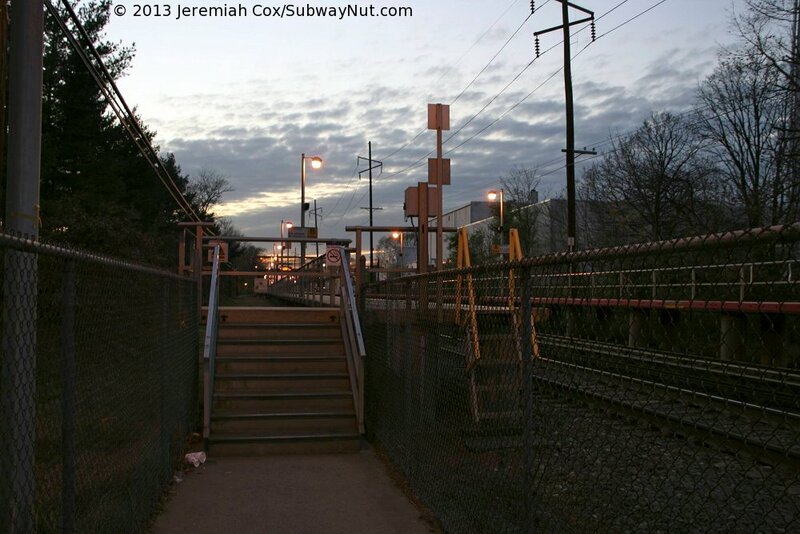 Here there are two concrete staircases that look older than the rest of the design of the station. 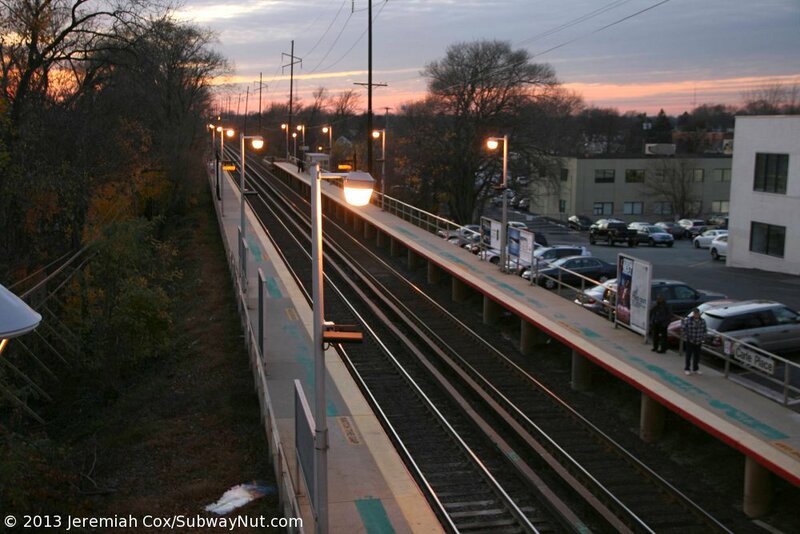 These lead up to the ends of both platforms. 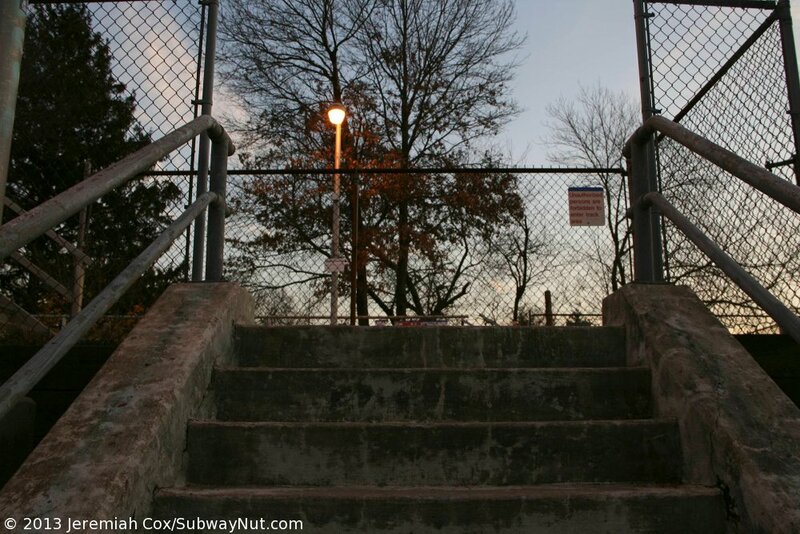 In the middle of each platform are staircases only up to a footbridge with chainlinked fences and a plastic roof over only the overpass itself. 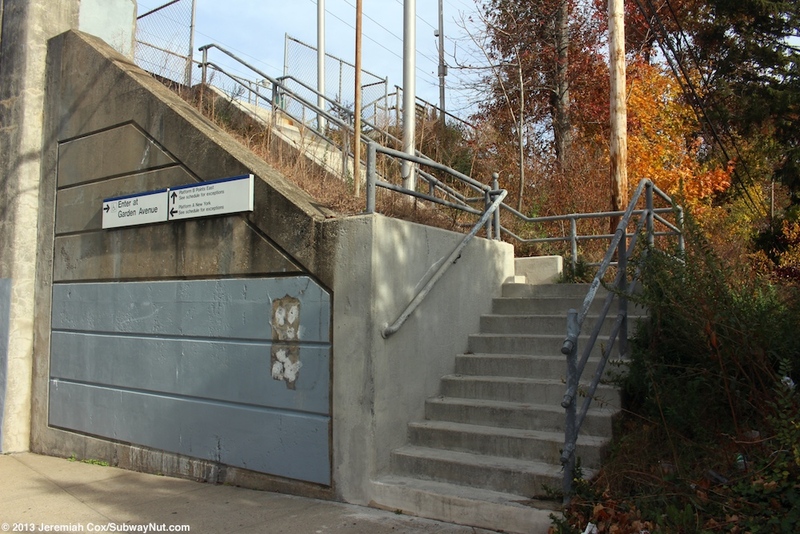 Along the Jamaica-bound platform the staircase stops at an intermediate landing with access to the end of Stonehinge Lane before continuing down. 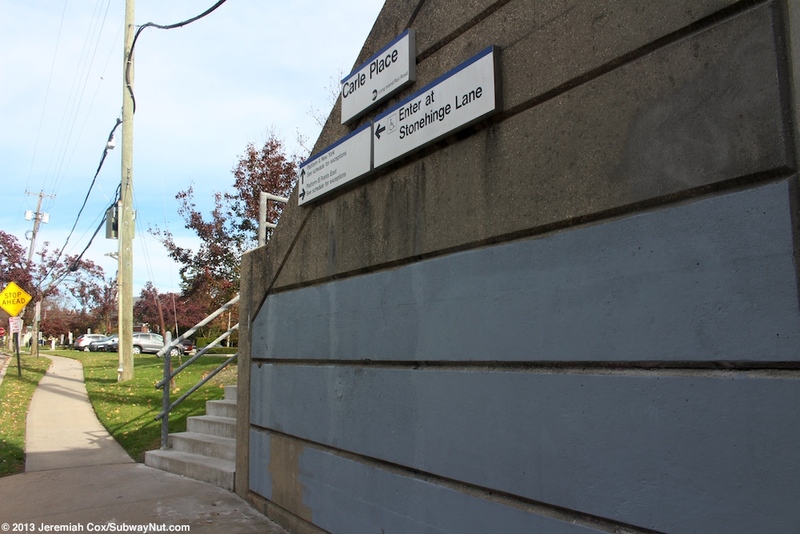 There is also a short ramp from Stonehinge for wheelchair access. 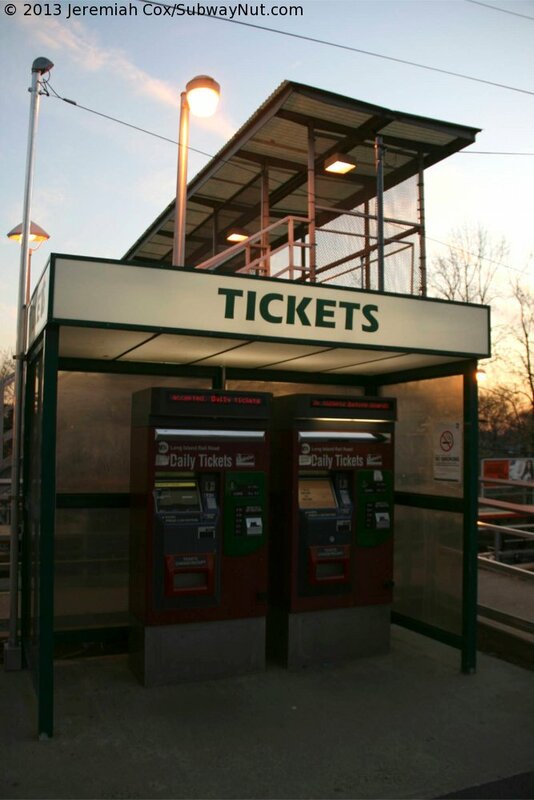 The stations only two red Daily TVMs are located in a small Green 'Tickets' kiosk. 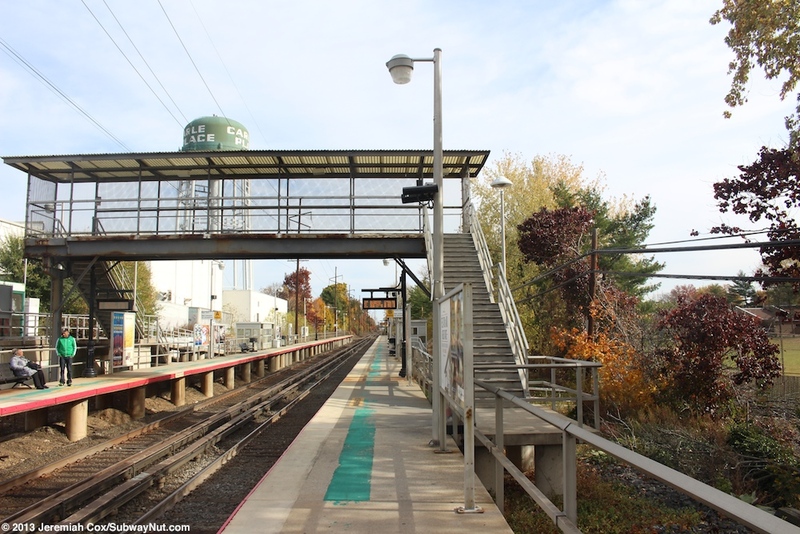 The Points East-bound platform has separate staircase that goes down beneath the platform with its own ramp. 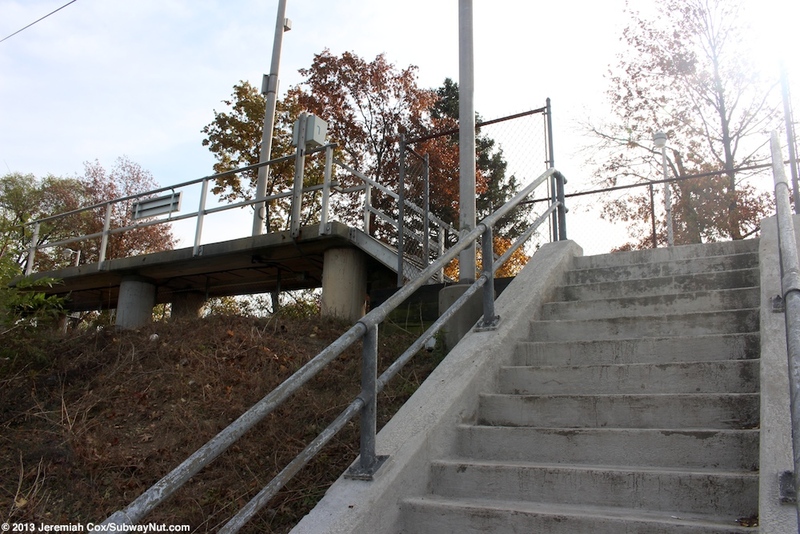 These lead down to a sidewalk between a baseball field (Carle Place Park) and sidewalk to the end of Garden Avenue near Douglas Street. 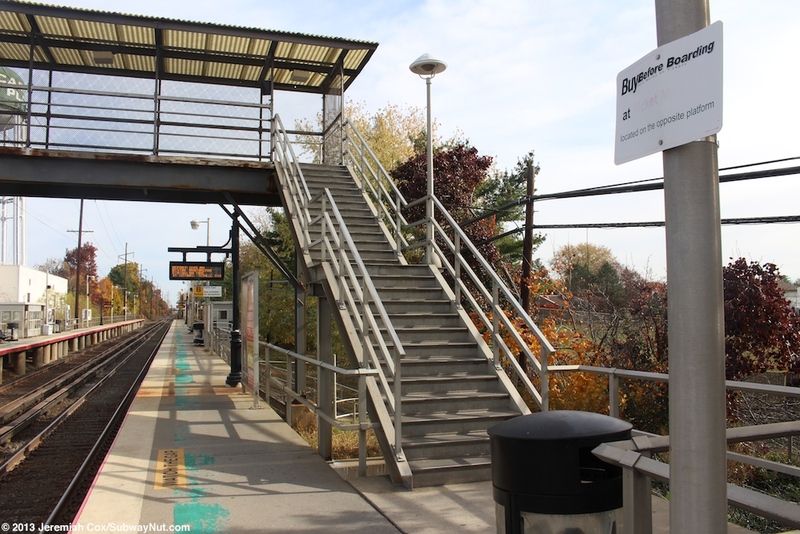 The lack of connectivity between the two platforms for ADA passengers require them to wheel nearly a half mile between the two separated entrances for platform ramp access. 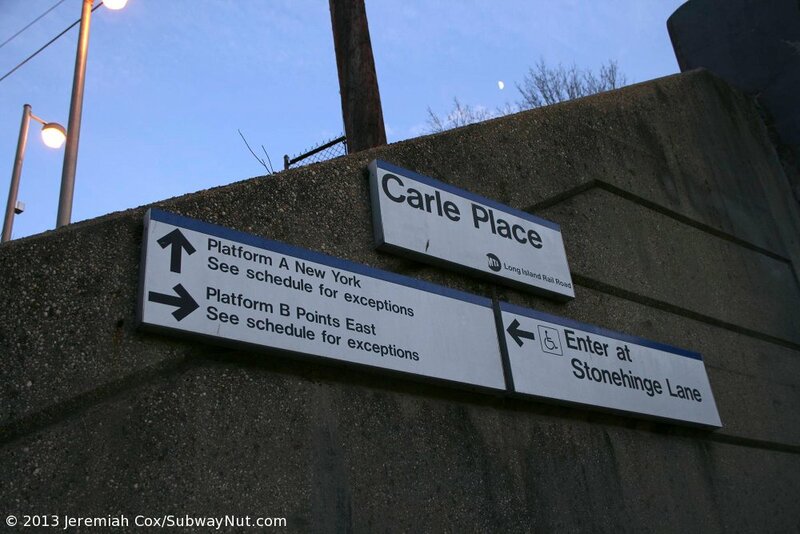 There is one final exit only at the eastern end of the Points East-bound platform. 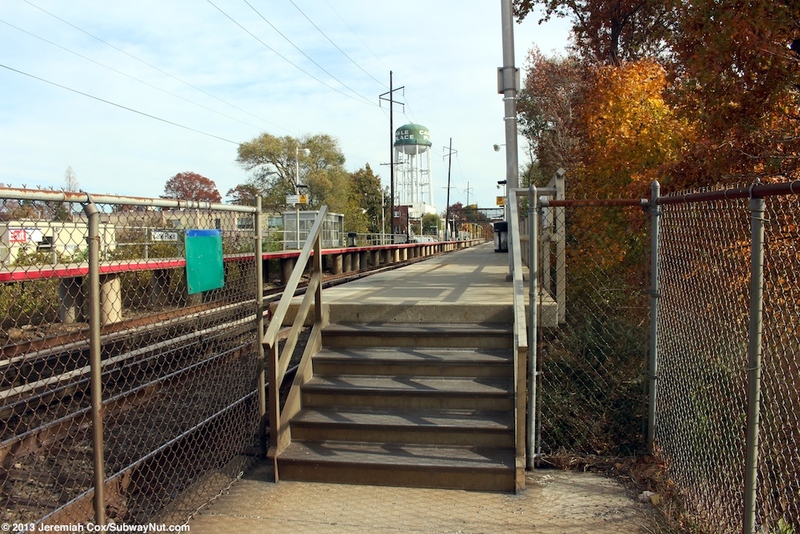 Steps lead off the platform to a sidewalk along the tracks that lead to the end of Carle Road. 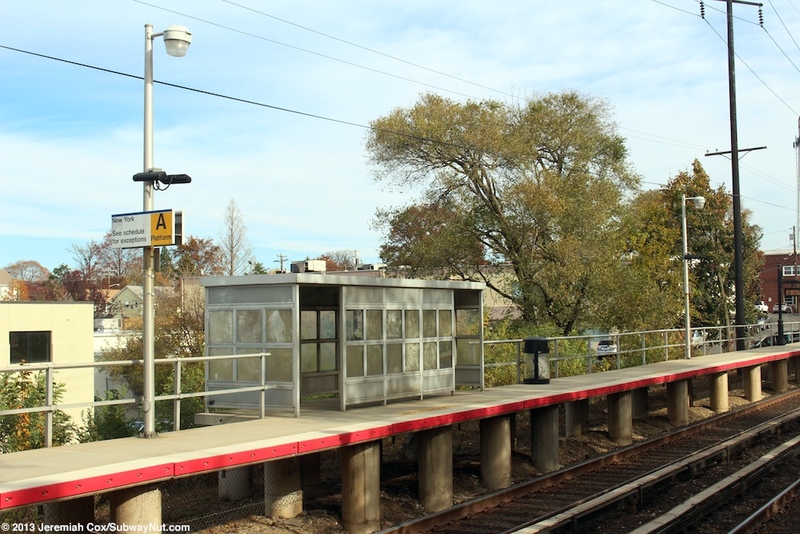 The station lacks a station house and the only amenities for waiting passengers are silver decrepit shelters with two on the New York-bound platform and one on the Points East platform.